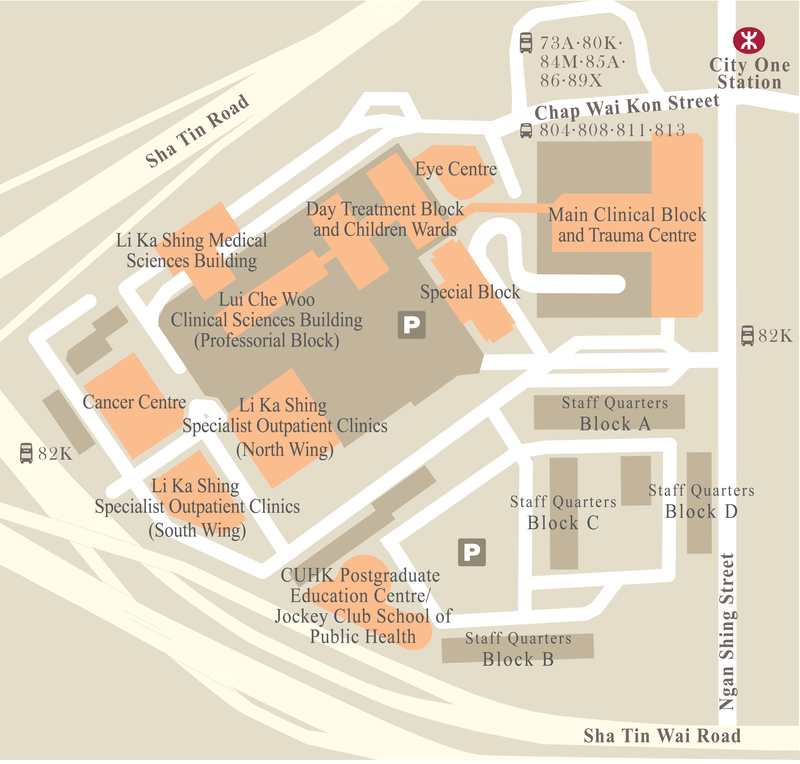 Venue: Lecture Theatre, 2/F, Lui Che Woo Clinical Sciences Building, Prince of Wales Hospital, Shatin, N.T. 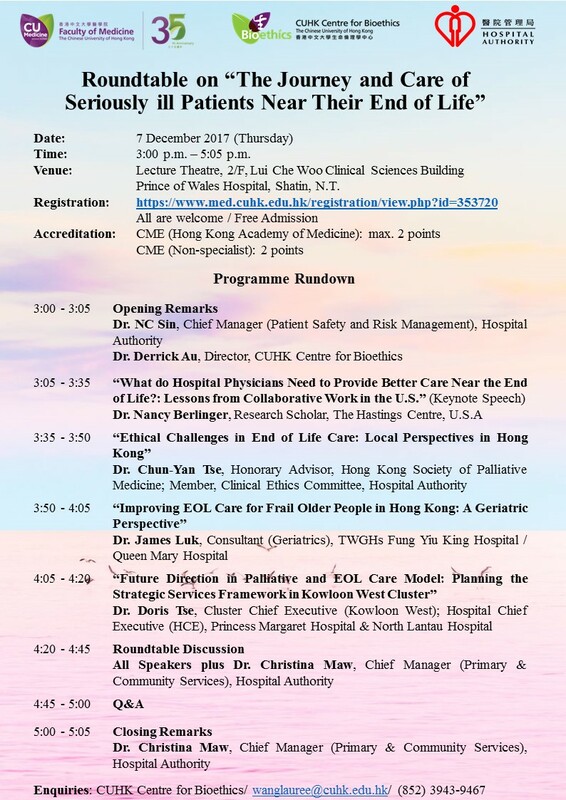 Presentation slides by Dr. Nancy Berlinger - "What do Hospital Physicians Need to Provide Better Care Near the End of Life? 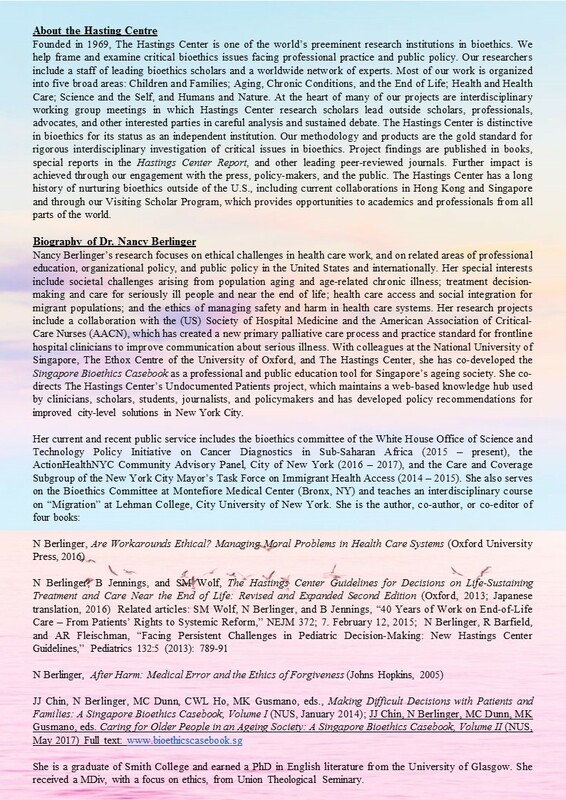 : Lessons from Collaborative Work in the U.S."
Presentation slides by Dr. Chun-Yan Tse - "Ethical Challenges in End of Life Care: Local Perspectives in Hong Kong"
Presentation slides by Dr. James Luk - "Improving EOL Care for Frail Older People in Hong Kong: A Geriatric Perspective"
Presentation slides by Dr. Doris Tse - "Future Direction in Palliative and EOL Care Model: Planning the Strategic Services Framework in Kowloon West Cluster"